Organic. 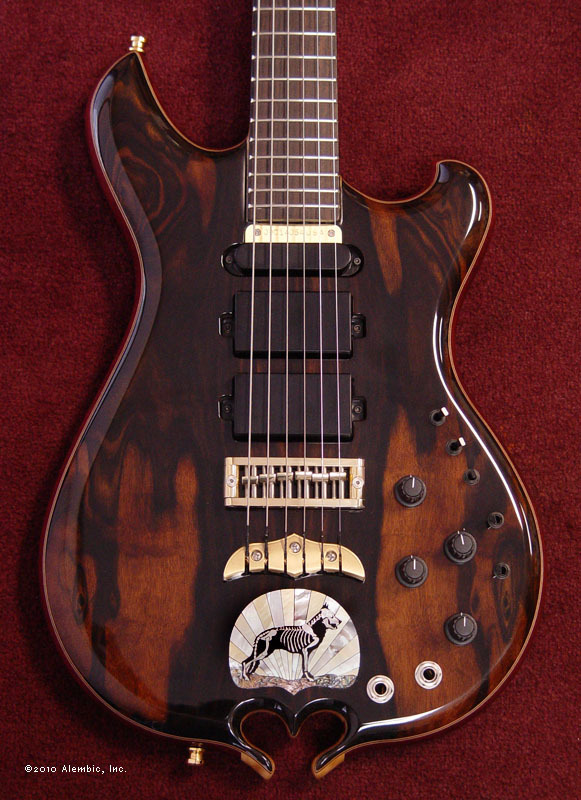 That's what Tom kept coming back to when describing this guitar. 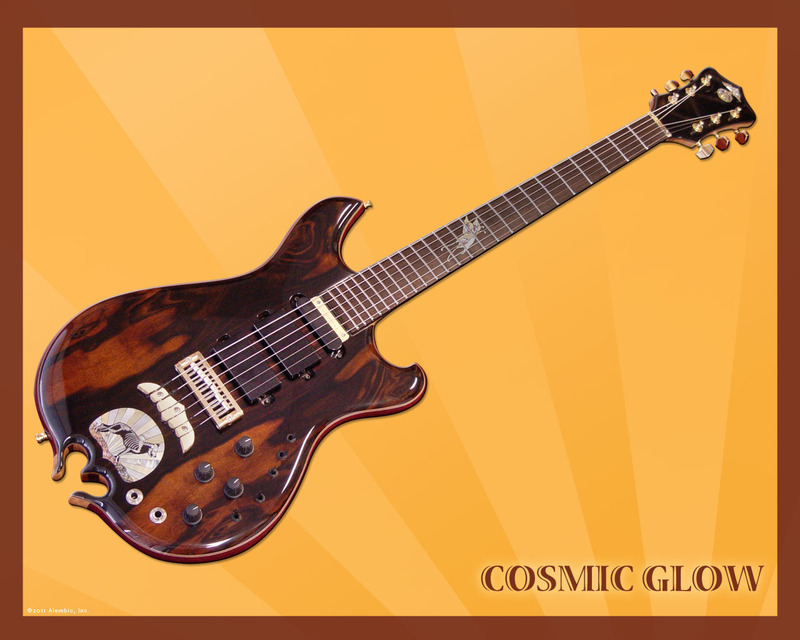 The rich, peat and earth color of the top wood, its figuring melting down the body, and how the straighter grain of the fingerboard just seems to sprout forth and grow, are reminders that yes, the materials that form this guitar were living. 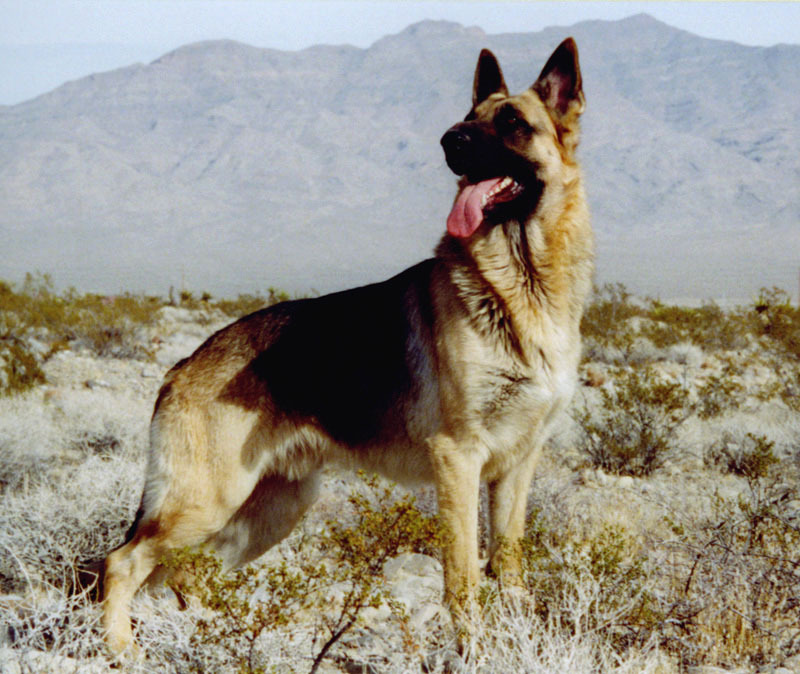 That it's a tribute to a loved part of Tom and Jane's family, their wonderful German Shepard Cosmic Glow (or Cosmo for short), makes that organic connection ever more personal. 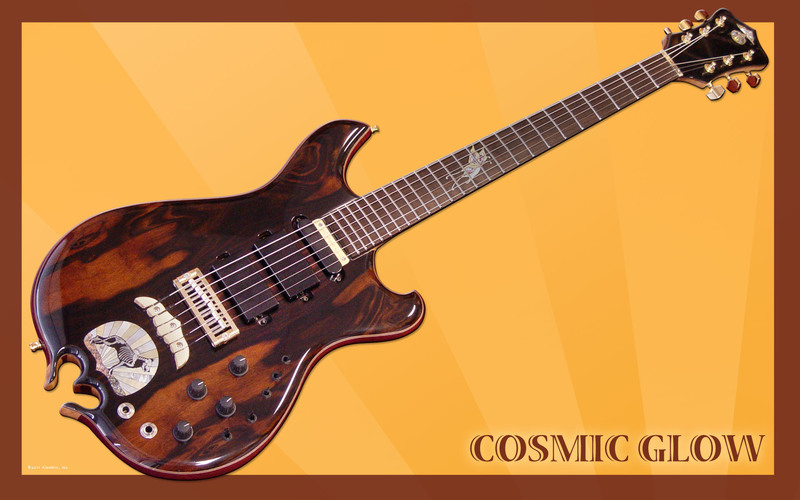 When designing this instrument, Susan, Tom, and Jane discussed at length how to properly memorialize Cosmo. 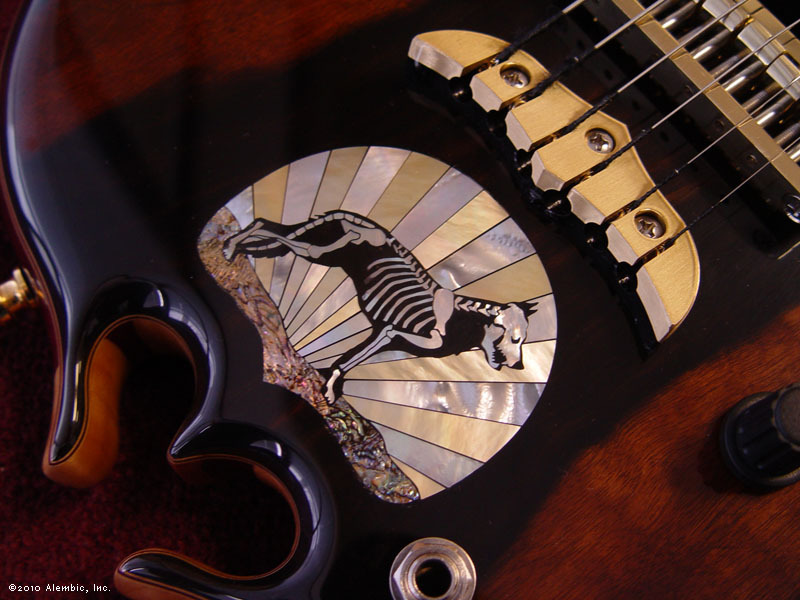 Certainly the wood choice to remind of the colors, a small carved Heart Omega to signify the love shared, and the custom inlays to have a literal and an abstract representation. 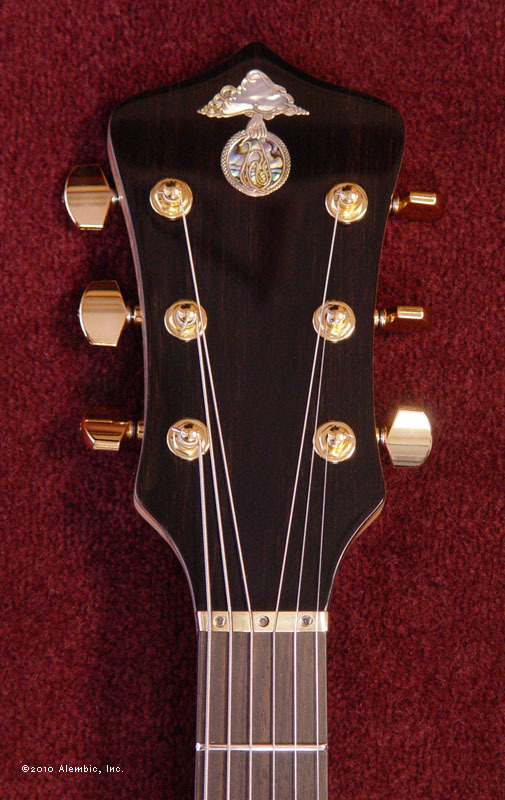 Obviously we must begin the details with the medallion inlay. Cosmo was such a strong and vibrant creature, celebrating the life he shared with Tom and Jane while acknowledging his passing with respect is a pretty tall order. We were lucky enough to meet Cosmo when they collected Ghost Crow, so there was personal connection between the artists and the subject. Using white and golden mother of pearl, sun rays reach from behind the abalone earth with Cosmic Glow alert and ready to fill the day with joy, each bone handcut from white mother of pearl. The alternating colors shimmer with even the slightest movement, and it's not too surprising to wonder if that tail doesn't wag from time to time. When Tom and Jane visited us to select the wood for this guitar, we were prepared to look through the entire Macassar Ebony stash. This was the second piece we looked at and it was clear that this was exactly the right wood for this project. The color and scale of the figuring fit perfectly with the size of the guitar body, and it recalled Cosmic Glow's beautiful coat. As is traditional for the Further guitar, the front of the peghead is Ebony. We inlay our logo which is a sterling silver jeweller's casting under the finish with mother of pearl and abalone. To coordinate with the back laminate, Flame Maple is the back peghead facing veneer. 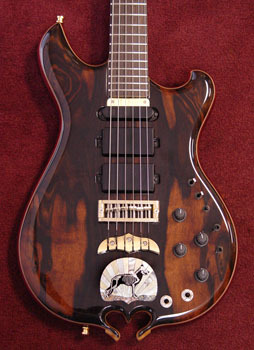 Interior veneers are Maple and Purpleheart. 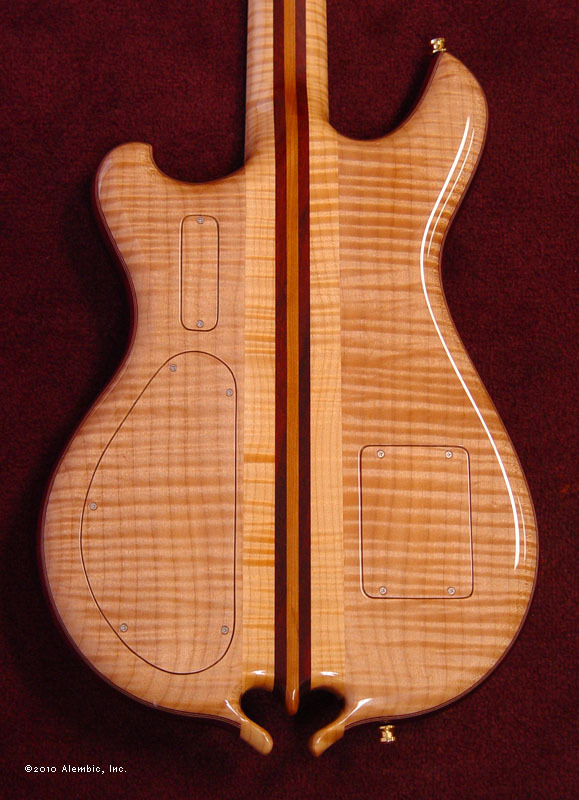 At the end of the veneers, the finish treatment changes from gloss to satin, for an incredibly fast neck feel. 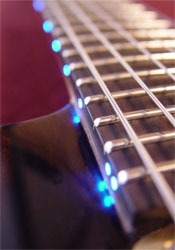 Blue LEDs illuminate the regular posisiton markers on the side of the fingerboard. 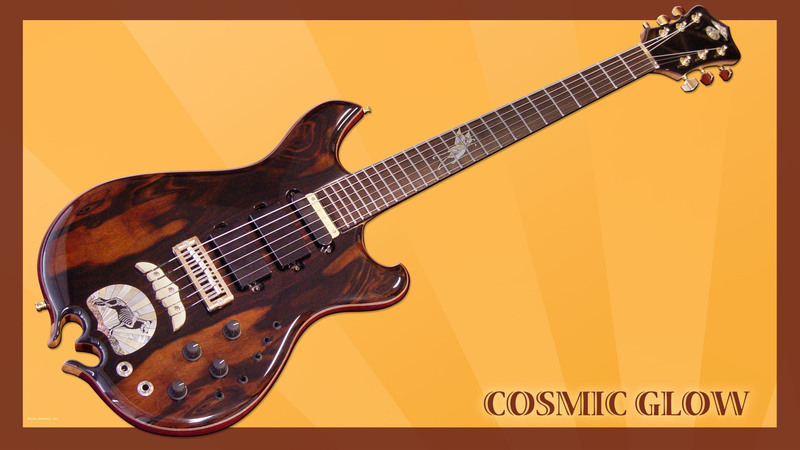 The cold color plays well off the dark tones of the fingerboard and body woods. The LEDs are inlaid in tiny sterling silver circles so when they are off there is still a good reference for position. Controlled by an on-off switch on the front of the guitar, the LEDs have a separate battery supply so should power run out to them it won't impact the output of the guitar. Cosmo's spirit is represented by the butterfly. 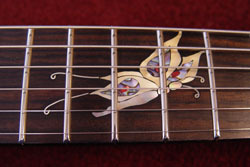 We've inlaid it in both black and golden mother of pearl with abalone, red acrylic and sterling silver. 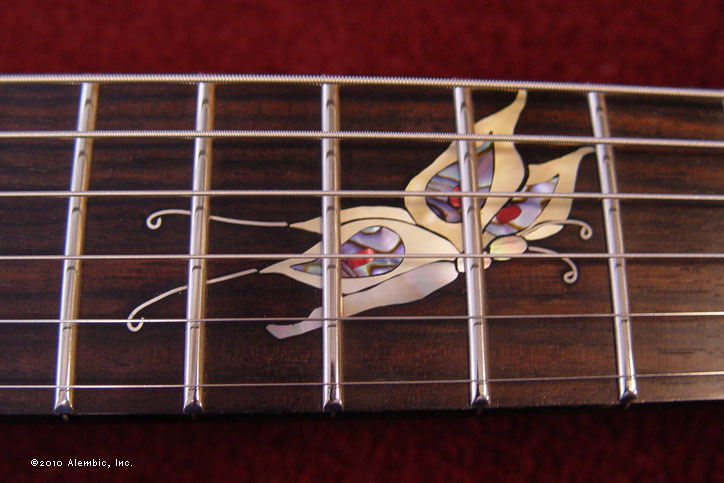 The butterfly is placed so that when in either playing position or in a stand, it's always flying upward. 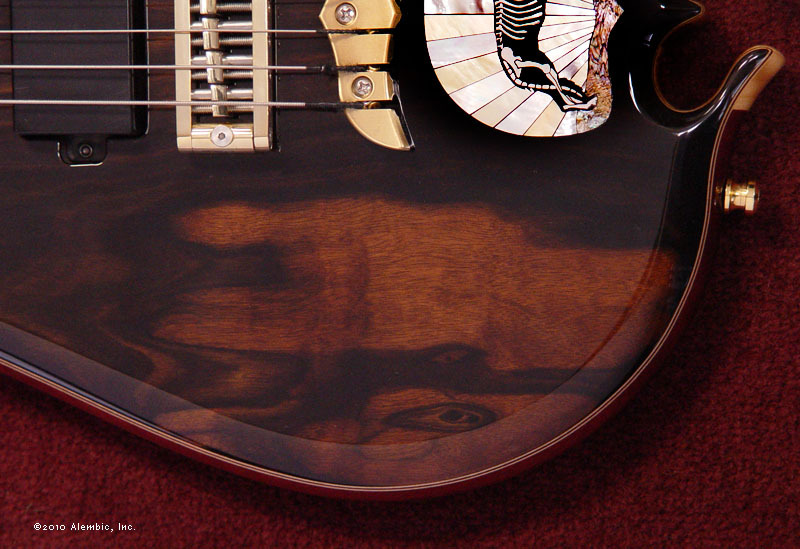 Tom told us recently that "the combination of woods, electronics and craftsmanship combine to create a tonal palette I never knew was possible. The Ghost Crow Skylark is versatile, but this Further takes it to a whole new level. I'm completely spoiled!" It was wonderful to learn that after a year, Cosmic Glow's voice gets heard every day, and that this guitar doesn't spend much time in the case. We thank you, Tom and Jane, for inviting us to create such a tender memorial to your beloved Cosmic Glow. 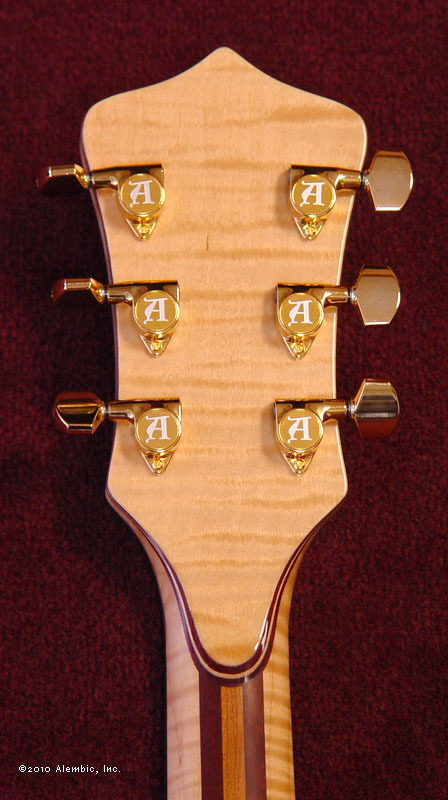 Text and photos of guitar by Mica Wickersham Thomas, © 2011 Alembic, Inc.